Some vampires who take up blood magic prefer to work on themeseleves rather than their enemies. 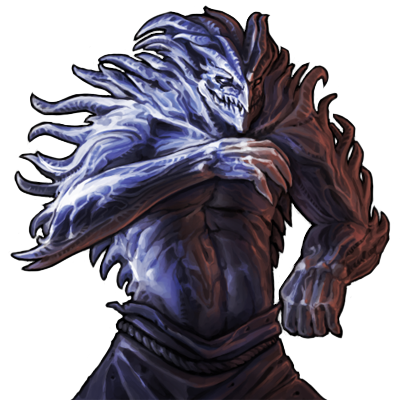 They turn themselves into monsters, and can fight well both in melee and at a distance. Special Notes: If there is an enemy of the target on the opposite side of the target while attacking it, this unit may backstab, inflicting double damage by creeping around behind that enemy. During battle, this unit can drain life from victims to renew its own health. This unit has magical attacks, which always have a high chance of hitting an opponent.